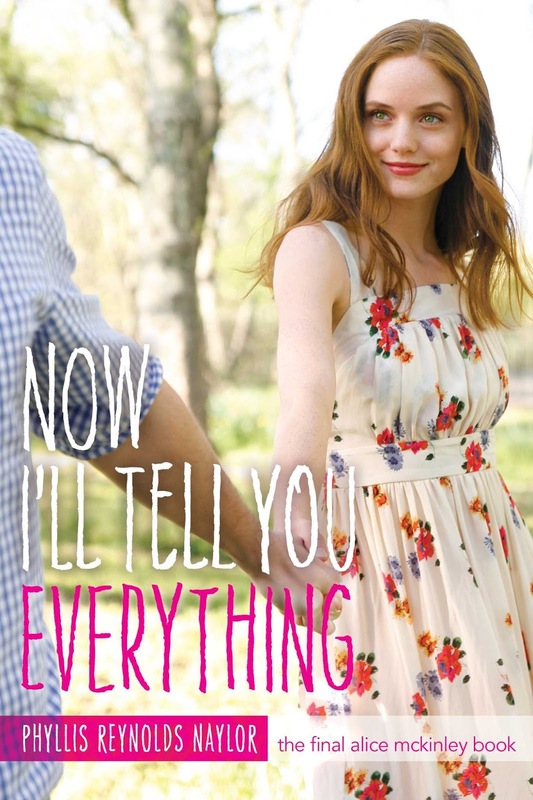 I don't often do book reviews on the blog, but I wanted to give it a try. I've been reading a lot lately to help myself fall asleep at night, and I've been able to get through a good many books in the past few months. I tried to do a good mix of fiction and non-fiction for this post. if you've read any of these books, let me know in the comments what your thoughts are! I read the whole series back to back because I can't resist a dystopian series! I've read that a lot of people didn't like this series, but I did! granted, it was not as action packed as other dystopian series and Crossed definitely moved very slowly. but I loved all of the poetry and metaphors in this series, they spoke to my poetry loving heart! there were definitely parallels between other popular dystopian series, but I did enjoy the story. I felt like I could picture the society, and I was intrigued by the fact that they weren't supposed to know how to write! words are so powerful, and this series showed that very well! I liked this book because it is handy to keep around and pull out when I want to read a prayer and meditate on it. There is an index so you can find a specific topic and go straight to it. I enjoyed reading the prayers and getting inspiration on certain topics. There were a few times I read a prayer for a specific situation that I wanted to pray about and it helped me to think more deeply about what I was praying for. I found myself reading over the wedding prayer for a friend who just got married, and then I prayed it for my own marriage as well. I found that so many of the prayers were like that - I could pray them over other people and over myself as well. Overall, I really enjoyed reading through the prayers, but some of them were really short and I wished they were longer. 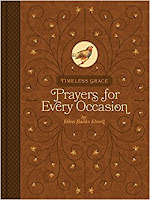 It is a great resource to have or a gift to give someone, especially a new Christian who may not know how to pray yet. I got connected with the Alice series from randomly picking up the first book in her high school years at a thrift shop. I honestly started reading it because it seemed like a fun and easy read while I was in grad school. I loved the Alice series because there was always something going on with Alice that you could connect to. the same is true for this last book, especially as I am transitioning out of school yet again, and into the rest of my life. the book was very fast paced, as Alice began the book as a college freshman and ended the book as an elderly woman. but it really encompassed the title... and Alice told everything else there was to tell about her life. it is different from the previous Alice books, but in a way it should be since Alice is growing up and moving on! but the book really did seem super fast paced which made me give it a 3.5 rating. I love devotional books that have short devotions that I can supplement with my quiet time. Sarah starts each devotion with a scripture, which I love because I can read over it and set the tone in my heart before beginning the devotion. I wanted to go through this devotional because although this grad school journey has been great, there have also been some darker times along the way. there has been doubt and overwhelming demands, and just life things that have hit in the midst of making this big change... and this devotional reminded me that I never face the struggles alone because God is always with me and leading me, if I listen. Sarah has a way of writing that hits right to the heart of things, but also are laced with hope and encouragement. this devotional is great for anyone, no matter what circumstances you are facing. 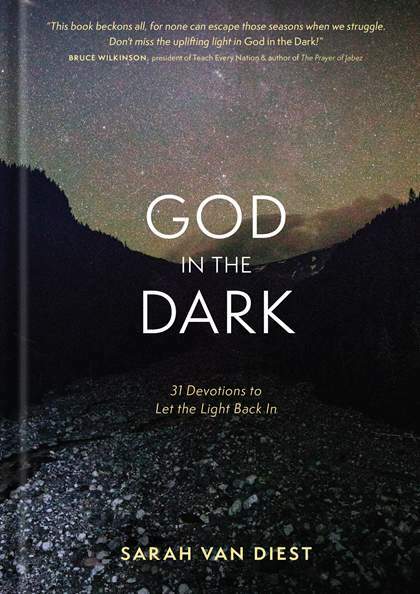 maybe you have just come out of a dark time, a dark time is around the corner, or you are facing one right now... but no matter what we all go through dark times in life, and we can use the hope and encouragement found in this devotional! 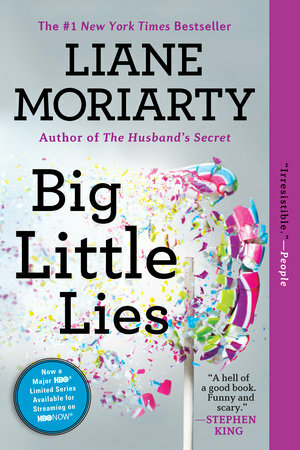 I really loved What Alice Forgot, and I enjoyed The Husband's Secret enough... but I really didn't like Big Little Lies that much. the funny input from the parents, and the school mom drama, was pretty funny... but I just felt like nothing much happened. yes, the connection between the three ladies was made, but I just thought there would be more. I guess the book and the tv series is talked up so much maybe I had too high of expectations. I mean it was a good read, and it touched on domestic violence... but I'm honestly not sure I like the way it did touch on domestic violence. the book didn't really explore good solutions for it, but I do think it was portrayed pretty truthfully. I just have mixed feelings about this book! what books are you loving lately? I received Prayers for Every Occassion and God in the Dark complementary in exchange for a review. however, the review is honest and all opinions are 100% mine. teeth whitening for sensitive teeth & a giveaway!